West coast weirdo-pop extraordinaire, Zac Nelson snuck his Charbroile LP under our radar in November. Had we known, it would have graced our Best Music list for the month. Stream the record at Debacle Records' Bandcamp if you can't just take our word for it. But this world moves fast, too fast to dwell on last month. Nelson has several exciting remixes in the work for Charbroile, but the first comes from Kenseth Thibideau who turned “Good Ole Boy March ” into death rattle in metronomic meter. Nelson's original is villanous as his pleas to “say you love me” are accompanied by one bass note caked in an ominous fuzz. Thibideau seems to have imagined the moment in which the source of the angst reaches a breaking point and supernovas into an all out death march. Nelson no longer sounds as though he opines for a relationship that can't work because she's left him, but because he's carrying her body to the river. Much of Zac Nelson's pop constructions tip toe those psychotic lines, but Thibideau hides the meds and lets the monster out with his remix. It's pop hellbent on destruction with each tick of the metronome. 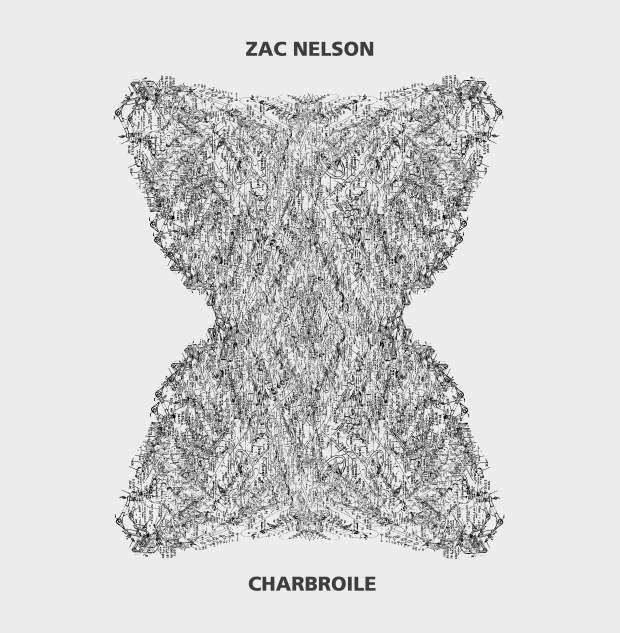 Zac Nelson's Charbroile LP is out now on Debacle.